In the Bangladeshi capital of Dhaka, five people died in a fire in an office building. At least sixty people were injured, and several people were imprisoned in the building. The fire brigade works together with military helicopters to get the fire under control. Senior firefighter Mizanur Rahman told sources that the cause of the fire is still unclear. Various people would have jumped out of the 22-storey building for their safety. Student Faisal Rifayat saw several people panicked in front of the windows, while others tried to climb down. At least one of them would have fallen and died later. 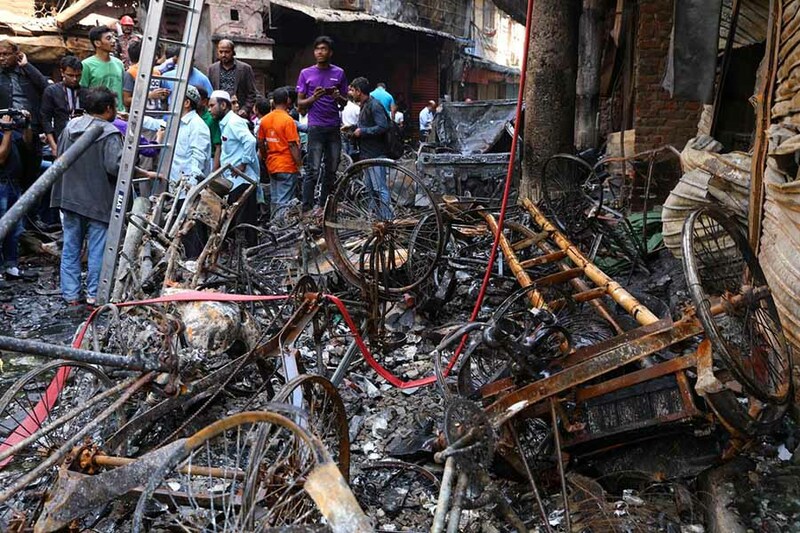 It is the second fatal fire in a short time in the capital of Bangladesh. Last month, 71 people died when a fire destroyed several blocks of houses.